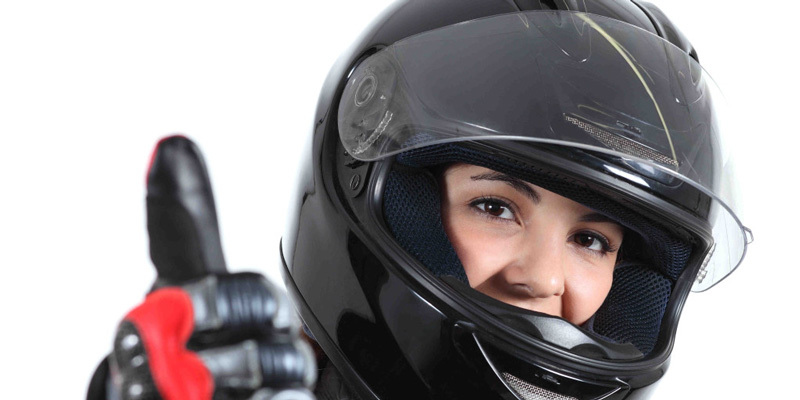 Group Riding Safety - Motorcycle Safety Institute of S.A.
What is the Difference between a Group Ride and a Mass Ride? Some might say a Mass Ride is a Group Ride, but there are clear and significant differences purely from a management or control point of view. Mass Ride: A large number of motorcyclists who ride together, generally without maintaining fixed positions or distances between motorcycles. Mass Rides are occasionally seen with 50 and more motorcyclists in any given or suitable formation. Group Ride: A small number of motorcyclists who ride together maintaining a generally fixed distance between motorcycles and maintaining fixed positions within the formation, usually no more than 10 to 15 motorcycles per group. On rides in which participation by a large number of motorcyclists occurs; it is common to have riders divided into several groups naming them Group 1 (Fast Group), Group 2 (Slow Group), etc. Are there specific threats to safety when doing Group rides compared to only one or 2 bikers? it can be a lot more FUN! In addition, motorcyclists tend to learn a great deal from each other and about their sport. Planned stops along the way offer a fine opportunity to socialize and to share valuable tips and techniques. Is it fair to say that the challenges might differ from province to province as conditions change? It is true in any country that road and traffic conditions will affect the way Group or Mass Rides are managed. Road Captains will have to plan their routes and group sizes accordingly due to the number of lanes allocated by authorities. Smaller areas or town may not have 2, 3 or 4 lane freeways and are left with a single lane in which to operate and manage their rides. Here again, overtaking and other elements of a group ride can quickly become a nightmare to control. Necessary steps and planning should be taken to avoid any confusion. Should group sizes be limited in size to ensure safer sharing of the roads with other riders? One common problem I see with large groups is a failure to provide gaps for other traffic. On a two-lane road, it may be impossible for overtaking traffic to safely pass a line of a dozen or more motorcycles. 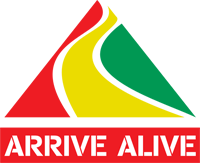 Some members of the group may get run off the road if a driver tries to pass and has to pull back into the right lane when oncoming traffic appears. On a multi-lane road, a long double column of motorcycles may trap a car on one side of it, blocking it from reaching an exit. Some riders act as if permitting a car to cross their column of bikes is a violation of their religious and constitutional rights, and can make a driver already in a panic about missing his exit quite dangerous. This problem needs to be addressed; it’s best to ride in subgroups of eight to ten bikes and provide a gap of four or more car lengths between each subgroup. These groups can also be responsible for each other, taking care of other members of their group so that the entire fleet of bikes doesn’t end up trying to squeeze onto the shoulder, which can create a real hazard. Are there specific following distances to adhere to in Group Rides and to adjust to in specific conditions? Sub-groups may be arranged in a 2-minute time gap, but there is a simple method used to control following distances within a group. Each rider has the responsibility of the rider behind him, making sure that the group stays tight and no one gets left behind. This said and in the case of a Staggered Formation, each rider following another should be able to see the “face” in the mirror/s of the rider in front of him. In the case of a Single File Formation, a 2 to 3-second following distance applies depending on road, traffic or weather conditions. Formations are there for a reason, use it in the right place and at the right time all the time. What are the most basic elements to ensuring safety as a group – do different riders have different functions in the group set-up? Road Captain: A person who devises group riding rules or guidelines for a club or chapter of a motorcycling organization, who communicates these guidelines to the club, and who generally plans and lays out group rides. The Road Captain may or may not ride lead for a particular ride. A Road Captain may appoint Marshals for Mass Ride Management. Marshal: A person, positioned behind the Road Captain, who assists with traffic control at intersections or any point where tasked by the Road Captain. The Marshal may roam up and down, next to the group to ensure that all riders are still following safety procedures and that any luggage is still secured. The Marshals, on a Mass Ride, should be at any given point of duty well before the Mass Ride starts. Lead Rider (President or Director): A person who rides in the position just behind the Road Captain (excluding the Marshal) in a group and who relays information to all other riders in the group via hand signals. The Lead Rider determines the group’s direction, speed, choice of lane, and formation. He or she often must make quick navigation decisions in the face of road hazards, changes in road surface conditions, poor signage, construction and other obstacles while maintaining control of his or her bike and communicating to those following. It is the responsibility of the Lead Rider to select an appointed Sweep Rider with whom communications will be coordinated during a ride. If there are three groups on a ride, there will be three Lead Riders. Support Rider: A person who stops to assist a fellow rider who has mechanical trouble, loses control or drops out of a ride for some other reason. The Support Rider should be prepared to render aid to a downed or disabled rider in a group while communicating the problem to the Lead Rider and others in the group. If at all possible, the Support Rider should be equipped with a Cell Phone and, preferably, will have a pillion who can assist with communications or traffic control if a serious problem arises. If there are three groups on a ride, there will be three Sweep Riders and one Support Rider. Sweep Rider: A person who rides in the last position in a group and who relays information to the Road Captain regarding the other riders in the group, traffic patterns, equipment problems, etc. he or she observes. The Sweep Rider must secure a lane for the rest of the group during lane changes into faster traffic; move first to block oncoming traffic from the rear and move to block passed traffic when a lane is lost in a merging lane situation, usually this is one of the most experienced riders in a group. Should the lesser experienced riders be placed in a specific part of the group? Less experienced riders should be assessed to determine at what level they can ride a motorcycle without risking other riders in the group. They can also decide for themselves, but yes, less experienced riders should be placed close to the front behind an experienced rider. Placing an inexperienced rider at the back will result in this rider “running” at such a pace, completely outside his or her skill level or comfort zone. It will also create gaps in the group thus splitting the group into unnecessary and unmanaged subgroups. Would those riding pillion have a unique role to play? Pillions or passengers, especially riding with the Support or Sweep Rider/s has a unique function on any group ride. This person, when the Support or Sweep Rider stopped to assist another rider, must stand to ensure the safety of these riders. His or her function may be to watch and alert other traffic or the situation at hand and warn the Support or Sweep Rider/s of any dangers or concerns while at the side of the road and off the motorcycle. The pillion should also be wearing a Hi-Viz Safety Vest when assisting the Support or Sweep Rider/s. What are the most important aspects to consider in the event of bike failure of a member in the group? When this happens the Support Rider (and his Pillion) will stop to assist, the rest of the group should continue on to the next regrouping point. If however, the Road Captain decides to stop the group, they’ll need to stop well away from the road-side and step away from their motorcycles depending on traffic conditions or congestion. Once the Support Rider stopped, he must attempt to make contact with the Road Captain, and if that is not possible, the Sweep Rider will do so. On long rides or tours it is always a good idea to have a support vehicle with a trailer along, and if that fails, carry the necessary tools to help solve the problem. Would you recommend that bike clubs train and discuss group rides? Oh for sure! For the safety and enjoyment of everyone, riders and other road users, this is a must BUT practised by few. I have seen an increase in this type of training over the last couple of years, but there are still a number of clubs or groups who just ride. At the very least, a short safety briefing should be held prior to any ride, some basic guidelines must be set in place. How important is good relations with traffic enforcement authorities for group rides – can bike clubs offer assistance to traffic officials to ensure safety? It is absolutely vital for clubs, groups or chapters to form a lasting and healthy relationship with local authorities. In many cases these clubs, etc. have helped and only when asked or authorised to do so by local authorities. I know of a few areas where traffic officials have stood aside, letting Marshalls and Road Captains safely manage a group or mass ride. Helmets up to them! It is important to state that it might not be the case in every town, city or on every event. Check with the authorities first, obtain the proper permission before you just block a traffic light or intersection. The hand signals used by group riders – are they a standard across SA and worldwide? Why are they important to the safety of Riders? There is a standard set of hand signals used among riders, and I gladly supply a copy thereof. These hand signals are common across the globe, with a small deviation here and there. Hand signals serve as warning or commands to fellow riders where Rider-to-Rider Comms are not used or available. Would communication technology have benefits to offer to those riding in a Group? Oh for sure. Technology is there to help us and in some cases improve our riding experience. Bluetooth Helmet Comms are nothing new to the motorcycle market; some helmet manufacturers equip their helmets with built-in Bluetooth Comms. These devices can be paired with GPS units, Mobile Phones, offer voice-guided directions, take phone calls (pull off the road when you take a call), play music (careful listening to music while you ride), FM radio, Rider-to-Pillion intercom, and Rider-to-Rider intercom of up to 1.6km. Now more than ever the Support Rider, Sweep Rider, Lead Rider and Road Captain can be in full comms on any ride, NO not reducing the use of hand signals, but communicating traffic or road conditions well in advance, as well as group and rider issues or concerns. Some of these, like the SENA 10C, comes with a built-in HD Video and Still Camera giving you all the functionality of a normal Bluetooth Helmet Comm unit, plus the option of voice-over into the recorded video. In my book, this is a must on any ride organised group ride, I use it all the time especially for rider education. Would you have any specific safety tips to offer to group riders to ensure everyone arrive safely at their destination? Plan Ahead: Devise a plan for on-the-road communication; agreeing on hands signals to represent low fuel, road hazards, upcoming turns, etc. will make it easier to know who needs what when wind noise prevents verbal exchanges. Trade cell phone numbers in case the group separates. Also, plan your route in advance, keeping weather and road conditions in mind. Ride in a Staggered Formation when Possible: When road width permits, ride on alternating sides of the lane. Doing so will enhance the visibility ahead, and help create a safe space around each bike. Single file riding might be necessary on tight roads, but try to maintain as much space around each bike as possible. Look Ahead: Don’t target fixate on the bike ahead of you; if that rider happens to go off the road or hit an obstacle, it’s far too easy to simply follow in their path if you’re staring at them. Maintaining a 2-second safety buffer from the bike ahead will give you more reaction time in case something goes wrong. Pass One Bike at a Time: While it’s important to maintain a cohesive group when you’re riding together, it’s also a good idea not to pass slow-moving vehicles as a group; pass one by one and avoid getting boxed in next to the vehicle and behind another bike. Be Predictable: It’s easiest (and safest) to follow riders who are smooth, logical, and predictable in their technique. Don’t pull any surprise manoeuvers, and the group will more likely arrive safely at their destination. Ride Your Own Ride: Group riding can bring out our competitive streaks, and it’s important not to get trapped in the game of trying to be the fastest rider. Public roads are not the place to practice high-performance riding techniques; to get your speed on, try exploring your bikes limits at a track day. All Out – All In: Simply put, we all leave together and it is, therefore, the responsibility of the Ride Organiser or Road Captain to ensure all arrive home safely. No rider gets left behind! Indemnity: Some groups have new participants sign an Indemnity Form purely from a legal point of view. In the past families have sued ride organisers due to loss of life or property.